When you move into a new home, there are dozens of details to pay attention to on moving day. In most cases, you simply want to secure all of your items at the new property as a top priority. As moving day challenges subsides, you can begin to organize the home with specific steps that ease almost every task. It’s understandable to feel overwhelmed by all of the boxes stacked inside your new home. You cannot unpack everything on the first day so organize the boxes instead. Divide them between the rooms that they belong in. Move every box marked “kitchen” into this particular room and stack them against the wall. You can slowly unpack these boxes and know for sure that they’re meant for this room. 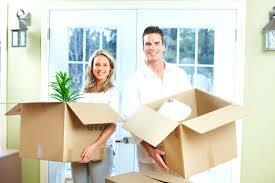 Alleviate moving stress with this strategy and unpacking will run very smoothly. With your stacked boxes in each room, take a good look at the surrounding space. If you need to perform any improvements, such as scrubbing cabinets or adding a new light fixture, perform them now. It’s much easier to alter the home when everything is out of the drawers, for example. Add a new plumbing fixture to the sink and paint the kitchen cabinets too. You can unpack and fill those drawers after all of the improvements are complete. Don’t haphazardly decorate walls and other areas of the new home. Think about your home’s decor before adding any pictures. In fact, you can sketch a decorating plan for the living room, halls and kitchen. You might want to hang pots and pans purchased from Mission Restaurant Supply in the kitchen, for instance. This major decor choice requires a sturdy holder and organization on your part. Plan your kitchen’s decor, and you’ll have a space to be proud of. Organize your kitchen as you would a work space. Select a common drawer for the silverware and make larger cooking tools accessible by hanging or stacking them in an organized manner. Neatly organize your napkins so that they’re handy for placement on the dining room table. The kitchen should flow naturally to the dining area as you attend to visitors’ meal needs. Ideally, your kitchen will be the most functional and useful room in the home. Don’t be afraid to alter your organization or decor shortly after completing the initial move-in process. Although the living room is completely finished, you might want to add an accent wall to one side, for example. These small details make your home a distinct reflection of your personality. Continue to look at your home with a critical eye, and you’ll have a space to be proud of on a daily basis.